Did you know that one in six hospital patients in the United States is treated at a Catholic facility? And did you know that Catholic ownership profoundly limits the set of medical procedures that can be performed in these hospitals, most glaringly when it comes to reproductive healthcare? Well, now NPR reports that the increase of Catholic-affiliated hospitals is making it harder for doctors—who are barred by regulations written by the U.S. Conference of Catholic Bishops from performing these procedures in their own hospitals—to moonlight as abortion providers. Federal rules provide “conscience protections” for doctors who don’t want to perform abortions or sterilization on moral grounds and religious hospitals who wish to deny those services as well, but religious hospitals tend to make their employees sign off on contracts assuring that they’ll uphold the religious values of the hospital in all their medical work, even outside of hospital grounds. Remski learned that her potential employer was actually owned by a larger Catholic hospital network called Trinity Health, and it requires physicians to “provide services in a manner consistent with the Ethical and Religious Directives for Catholic Health Care Services,” according to her contract. And, she says, she was shocked to learn Trinity Health would also have had a say over how she spent her free time. IHA officials told her that she couldn’t work on the side as an abortion provider if she took the job, Remski says. According to a 2016 report by patient rights watchdog MergerWatch, “14.5 percent of all acute care hospitals in the United States are Catholic owned or affiliated.” This is particularly troublesome in states like Alaska, Iowa (an anti-abortion hellscape), Washington, Wisconsin and South Dakota where “more than 40 percent of acute care beds are in hospitals operating under Catholic health restrictions.” For states like Nebraska, Colorado, Missouri, Oregon and Kentucky, the percentage of Catholic owned or affiliated hospitals ranges from 30 to 39 percent. In Michigan, where Remski planned to practice medicine, one in four hospital beds are in a Catholic hospital. From 2001 to 2016, the number of Catholic owned or affiliated acute care hospitals grew by 22 percent even as the number of acute care hospitals overall dropped by six percent. These clauses tend to be vague, [Noel León, a lawyer with the National Women’s Law Center] adds, which means employers can invoke them to prevent a wide range of activities, like political activity, controversial posts on social media or, in religious hospitals, physicians spending time at clinics that provide abortions. 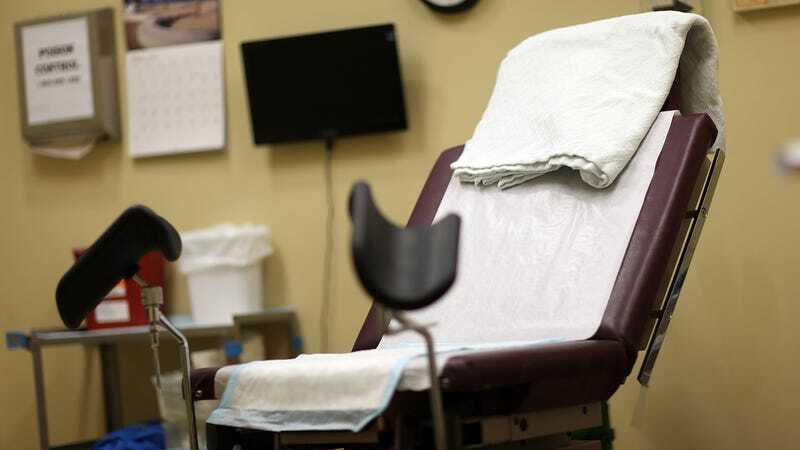 The restrictions may have ramifications not only for physicians but for many clinics that provide abortions. Smaller clinics may be staffed almost entirely with part-time doctors, and when they can’t find enough, they’re sometimes left unable to meet the demand for services. The increasing Catholic monopoly of hospitals isn’t as overt as heartbeat bills, but it remains an incredibly subtle chokehold on abortion rights nationwide.